The StayStaffed's web-based VMS program, Candidate Direct Marketplace ®, is configurable to organizations of all sizes and is the ideal technology solution to manage your contingent staffing needs with one consistent process. Our VMS enhances HR metrics including reduced cost per hire, decreased vacancy rates, time-to-fill, and hiring manager satisfaction. By using our VMS technology along with a tailored managed services implementation, employers gain access to higher-caliber contingent and permanent talent, along with a solution that streamlines the staffing process and meets your organization's workforce management goals. 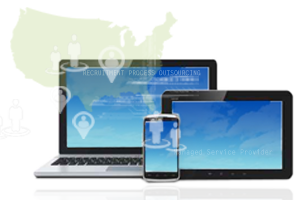 Stay Staffed manages the entire recruitment and hiring process. You get high-quality candidates at the lowest possible cost. We handle every step of the hiring process: sourcing, recruiting, interviewing, background checks, on-boarding and off-boarding, using our VMS technology and superior client servicing. No downloading or installation of apps. StayStaffed solutions are cloud-based, and no downloads are required. Just open a web browser, login and go. StayStaffed solutions are cross-browser compatible so you never need to worry about whether you have the proper software or hardware. When you're out and about, with only your smart phone or tablet, you can still manage your workforce with StayStaffed. And your increasingly mobile staff can also login at any time. Vendor Management Systems are key to achieving the full benefits of a contingent workforce. StayStaffed provides an enterprise-level workforce solution featuring an easy-to-use, web-based VMS. Managed Service Providers allow organizations to better utilize contingent or contract employees. Companies using MSP's can see improved operational performance, lower labor costs, and more informed stafﬁng decisions. StayStaffed recruitment and workforce outsourcing solutions offer organizations specialized programs that have been developed over 25 years in the contingent workforce marketplace. Contact StayStaffed today for a free, no-obligation consultation on which service package is right for your organization. Or call us at 800-585-1710.